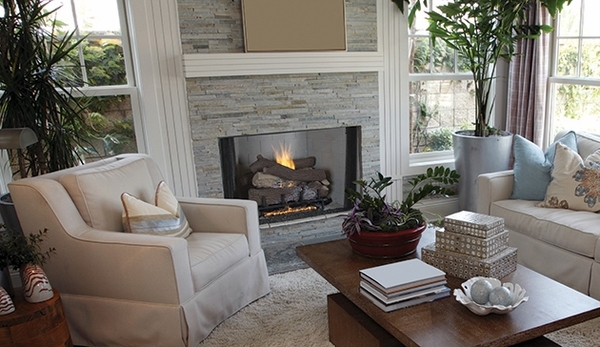 Do you have a large fireplace that you are installing or updating? Do you need a firebox that is "captivating" and massive? Are heating efficiency and vent-free gas logs important to you? If your answers to these questions were all a resounding yes, then the Superior VRT4500 Custom Series Refractory Paneled Vent-Free Firebox could be the smart choice and perfect fit for you. This model is designed for large interior spaces, features a tall opening, and beautiful refractory panels available in red or white and herringbone brick or stacked brick designs. When paired with a vent-free log set, it has a 99.9% heating efficiency and is fully insulated for high quality performance in colder climates. In addition, both sides are installed with standard barometric dampers that allow for two AK 4 fresh air kits which are recommended for maximum performance.